The end of Winter and return of warmer weather always brings strong feelings of change. It’s also a good time to introduce new products like Apple did at their Spring Forward event on Monday. At the event, Apple re-introduced their Apple Watch ahead of its April 25th release date. While this is a new product category for Apple, there is already a wide range of smartwatch options available in stores. 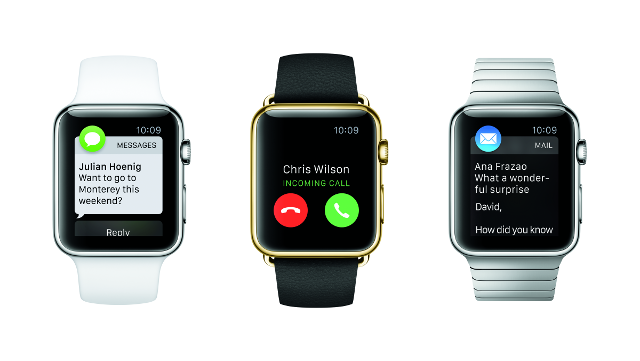 For details on Apple’s competition, visit the Best Buy Smartwatch Buying Guide. While the Apple Watch stole most of the attention at the show, many Apple Mac users are excited by the new MacBook announced at the event. To make the device lighter and thinner, Apple removed all but a single USB-C port. As more users transfer data to and from their devices wirelessly, we may see this trend spread to Windows laptops and Chromebooks. Previous Previous post: Have You Backed Up Your Important Data? Next Next post: What Technology Will Our Children See?